Dentures are a tried-and-true solution for patients with missing teeth -- helping them to restore their functionality, and boost their confidence. Full dentures are recommended when a patient has lost a full row of teeth on the upper (maxillary) arch or the lower (mandibular) arch. 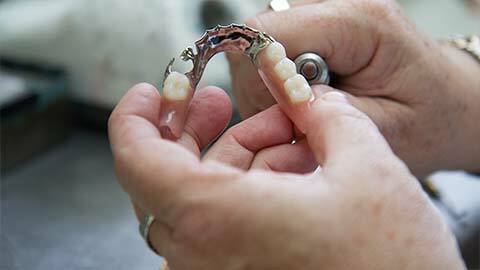 Partial dentures are recommended when a patient is missing only sections of their teeth. These types of dentures are removable -- made of a metal framework attached to a gum-colored plastic base that secures the teeth in place. 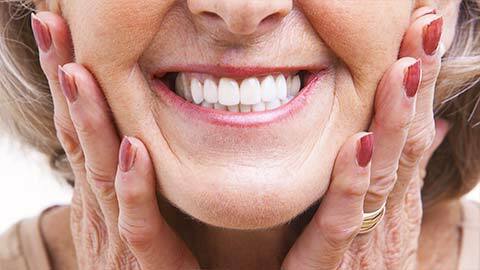 Dentures are a good solution for patients who are unable to receive dental implants. If you’d like to learn more about the benefits of dentures, Dr. Richards and Ribitch will be happy to speak with you. Call Richards & Ribitch today to schedule a consultation. If you need more information about Dentures in Mount Pleasant, contact us today.